CD: Any favorite moments to watch for? DP: I think that the $40 million dollar house and the competition around that is fun to see. I also like bonding moments such as the team dinner or when you see that things don’t always go as planned, such as Heather’s staging scene or Maya’s client hitting on her. 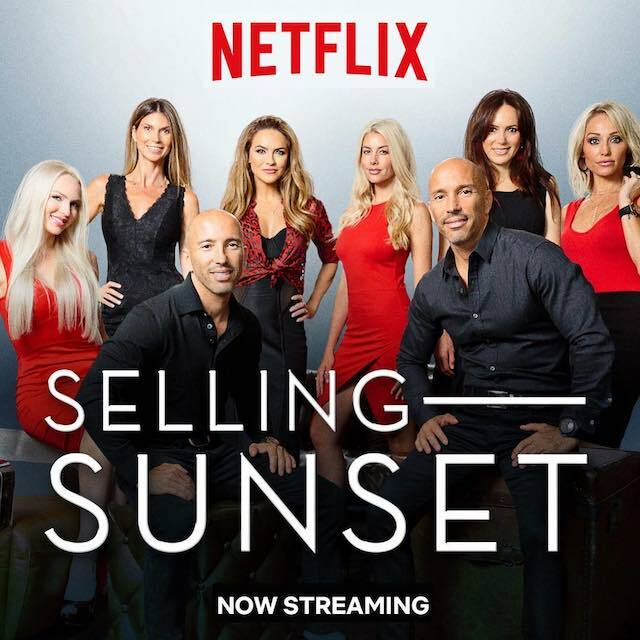 Overall, this is a group of women who try to balance their personal lives while working in high stakes real estate. CD: How will the show help or improve your business? DP: The show has only been out for about a week but so far, it has changed our business a little because now people feel like they know us before they have even met us. Overall, we’ve had a great and very passionate response. CD: Any Los Angeles real estate news to share? DP: Interest rates are currently at record lows and the LA market is stable and consistent making it a fantastic time for anyone looking to sell or buy. In addition to the show, Davina and her team are busy hustling for a number of high-profile clients, including actor Orlando Bloom. They just listed his Billionaire’s Row Beverly Hills bachelor pad for a cool $9 million. For more information on Davina Potratz and the entire Selling Sunset crew, click here.